Aviation insurance pioneer A. G. Lamplugh uttered that oft-quoted phrase more than eighty years ago, and it’s as valid today as it was back then. Like Newton’s Laws of Physics, it’s one of the basic, unchanging truths about flying: certain things simply must be done properly if we’re to avoid disaster in the air. One of the best examples would be dealing with a low-altitude engine failure. Last week’s TransAsia ATR-72 accident is a potent reminder of this aphorism. While we don’t know the cause yet and probably won’t know the whole story for a year or more, it got me thinking about how oddly things are done in aviation sometimes. For example, airline pilots move “up” the food chain from turboprops to jets. If safety is the paramount concern, that’s backwards. Shouldn’t the most experienced pilots should be exercising their skills on the most challenging aircraft rather than the least? While jets certainly have their pitfalls and perils, a low-altitude engine failure is generally more challenging in a turboprop. The dead engine’s propeller creates tremendous drag until it’s properly secured. Many multi-engine turboprops are equipped with mechanisms to automatically feather the offending prop, but if that system doesn’t function properly, has been deferred, or simply doesn’t exist, the pilot is faced with six levers in close proximity, only one of which will do the trick. It’s easy to pull the wrong one. Worse yet, if the craft has an autofeather system, the pilot would logically expect it to function as advertised. He or she would have to first detect the lack of feathering, then run the identify-verify-feather drill. Unlike training scenarios, there’s a major surprise factor at play as well. In a simulator, is anyone really surprised when the engine quits? Of course not. In the real world, pilots make thousands of flights where a powerplant doesn’t fail. As much as you tell yourself with each takeoff that “this could be the one”, empirical evidence in the form of a pilot’s own experience suggests against it. That makes preparation for a low-altitude emergency a constant battle with ones self. Are we always honest about how we’re doing in that fight? Probably not. When I flew ex-military U-21A turboprops for a government contractor, we did all our training in the actual aircraft. I’ll never forget how marginal the aircraft’s performance was, even when engine failures were handled properly and expediently. We would fly a single-engine approach into Catalina Airport, where the missed approach procedure takes you toward the center of the island and some fairly high terrain. On one training flight the autofeather system initially worked as advertised, but then started to slowly unfeather. Turboprop flying also comes with increased risk exposure due to the flight profile. A jet pilot might fly one or two legs a day versus five, six, or seven flown by the guy in the turboprop. With more legs comes an increased statistical opportunity for that engine to quit on takeoff. Turboprops also fly at lower altitudes where they tend to be in weather rather than above it. The reciprocating twin pilot has it even worse when it comes to performance. Most of them have no guarantee of any climb performance at all on one engine, especially with the gear down, and few are equipped with automatic feathering systems. Yet that’s where we all start out. Contrast this with engine failure in the modern jet, where the pilot need do nothing but raise the landing gear and keep the nose straight. In my aircraft, at least, we don’t even add power on the remaining engine. Unless the plane is literally on fire, we just climb straight out for a minute or two, gaining altitude and doing… nothing. No checklist to run, and only two levers in the throttle quadrant rather than six. There are other places where you can see this same phenomenon at work in aviation. Consider the world of flight instruction. The least experienced CFIs typically start off by teaching primary students. Again, that’s backwards. It would seem more logical to start instructors off with checkouts and endorsements for experienced pilots or commercial certificate training. Putting the best, most experienced CFIs with the neophytes might help accelerate their progress and alleviate the high student pilot drop-out rate. The Law of Primacy — something every CFI candidate learns about — tells us that “the state of being first, often creates a strong, almost unshakable, impression. Things learned first create a strong impression in the mind that is difficult to erase. For the instructor, this means that what is taught must be right the first time.” Primary flight training literally sets the foundation of an aviator’s flying life, to say nothing of the fact that teaching primary students is one of the most difficult jobs a CFI can undertake. So why is this critical task mainly entrusted to the newest, least experienced instructors? The answer to these questions usually comes down to money. The almighty dollar frequently plays a powerful role in explaining the unexplainable in aviation. While it would be unrealistic to deny the importance of financial concerns in defying gravity, whole sections of the aviation ecosystem run backwards and one can’t help but wonder if perhaps safety suffers because of it. 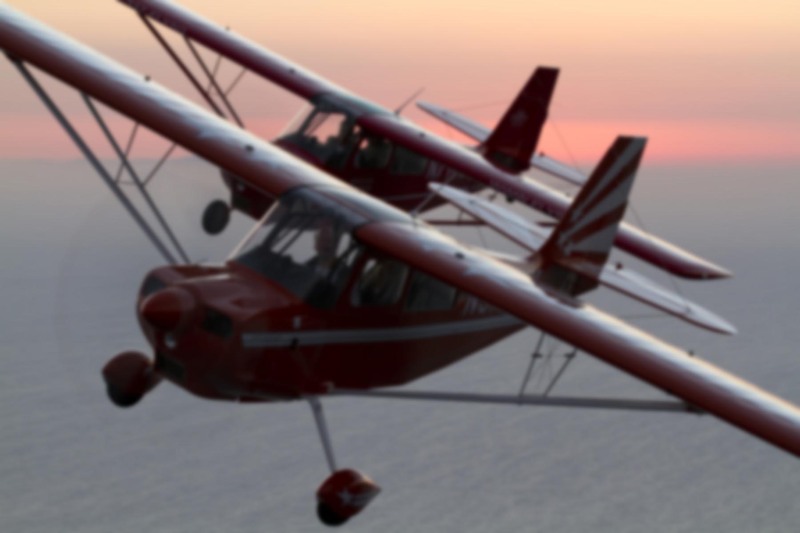 This post first appeared on the AOPA Opinion Leaders blog. I have observed this phenomenon as well, although you are the first to write about it that I’m aware of. I had to chuckle as I read this piece – it’s so true! Great work! Thanks Brent. So many people write about aviation these days that it can be hard to find something new to say, especially for those who read a lot of the other flying content on the Web. While I know neither of us writes for the sake of being contrarian, a different perspective can be refreshing at times. Your blog reminds me of the two bag theory, one bag for luck and the other bag for wisdom. When we start our flying careers the bag of luck is full while the bag of wisdom is empty. This is followed by years and years of racing to fill the bag of wisdom before the bag of luck runs out! There’s a lot of truth to that theory. Successful turn backs, near midairs, and even famous events like Cactus 1549 end happily in part due to luck. If Sully had taken off a couple hours earlier, he would have been ensconced in a snow storm and not been able to find the Hudson. A near midair is usually a collision that was narrowly avoided through dumb luck. Low altitude engine failures that end with a safe landing on the runway often wouldn’t have turned out so well if power had been lost a couple hundred feet lower. Ron-, I was AT TPE AIRPORT JUST the WEEK THIS OCCURRED! ironically, the party I was traveling with looked out the window of our A320 and asked me, “hey, isn’t that an ATR (she is a travel agent)? Seeing on on the ramp…just moments before the disastrous flight went down on another aircraft. I said, yes, they are very safe, even mentioning that they are the aircraft of choice to fly into MPH airport , a runway length of under 3000 feet…with a mountain at the very end of it! Little did we know this incident would occur moments later. You know, I’ve always known this phenomenon but it actually hit home when an eager instructor of mine that was teaching me for my IFR rating…and we were about to enter the clouds. It was both HIS AND MY FIRST TIME ever to go IMC. He was calm and so was I, but it was an experience we shared together. Ironic huh? My CFII and I experienced IMC for the first time together. (he trained near PHX). Thats when I learned the old airliner guys that get to fly the long transatlantic routes in which I will quote YOU, from 1999 where you say in your online journal post “It must be tedious for the crew too” meaning they might not have too much to do. I was shocked to hear that even on the G-IV, you don’t even need to add power in the other engine when the other goes. But in a way…this is all great. You know, there really is NOTHING like aviation and it is expected to have its quirks. Each and every flight has its risks, rewards and virtues. Just remember to savor it and take it all in. Wow, I think that’s about as close as you’d ever want to get to a fatal crash. I read that one of the flight attendants on that TransAsia 235, Huangjing Ya, was saved from being aboard the TransAsia Airways flight that crashed on Penghu Island in bad weather last July by a last-minute schedule change. Pilots obtaining an instrument rating with no actual IMC experience is pretty common, especially in places like Arizona. Perfectly legal. Interesting that he got all the way to CFII without entering a cloud; I’m sure you were in good hands, but it reminds me that not everything that’s legal is necessarily safe. Regarding the auto feather, if you really want something mechanical to wrap your brain around, take a look at reversing propellers. The U-21A has three prop governors on each engine, and a secondary low pitch stop system that often gives transitioning pilots fits. With regard to engine failure on takeoff, the last thing on my takeoff checklist is to point to the altimeter and calculate minimum “turn back altitude”. Below that altitude I tell myself it is going to be landing straight ahead if she konks out. Great take, Ron. Thanks, Rod. You’re smart to do that! Every second counts if the engine fails near your turn-around threshold. I’ve often pondered this irony myself, but as Brent said, you’re one of the first to put it in writing. I count my blessings that I get to fly such a sophisticated aircraft (A31), where the majority of the time we’re on autopilot and monitoring. This sounds boring, but as you know it frees up the mind from the tedious task of operating the airplane so the crew can safely manage the flight. I believe it’s the safest possible way to fly for an airliner, but it can lead to the possibility of degradation of basic skills. Recently, I started flying my buddy’s twin Cessna 310, to get my “stick and rudder” back. I have to say, having to shake years of rust off my scan, it’s been a handful! You picked a great airplane for scraping off the rust — the C310 will keep you busy, but it’s awfully rewarding once you get the hang of it. It’s like riding a bike, it’ll come back to you! The automation in the Airbus may lead to skill degradation, but it’s definitely the right kind of airplane for the mission it flies. Awareness about the perishable nature of manual flying is half the battle, IMO. Hey Ron, this has been a big question mark in my mind since I started flying with the military. I was a FAIP – First Assignment Instructor Pilot in the T-38. The T-38 is WAY less forgiving than any advanced fighter. Its stubby wings and the engines originally designed for cruise missiles require close attention to TOLD and engine failure procedures – things an F-22 pilot doesn’t really need to devote any thought to. In the AF it’s not money that is directly driving the seemingly backwards progression, but a need to ensure risk mitigation for the most important missions and most costly assets. Our most experienced pilots are needed in missions other than pilot training. Worst-case scenario a 2nd Lieutenant making a critical mistake may only cost 1-2 lives in a training scenario vs countless lives and assets on the ground or in the air in a combat situation. That’s very interesting! I hadn’t considered the military progression; with their relatively deep pockets, it’s tempting to assume they have the wherewithal to do whatever they want. But it’s worth remembering that even the DOD has resource limitations. It seems that the one thing military and civilian flying jobs have in common is that the newer airplanes are easier to fly than the old ones. The march of technology, I suppose. Since you were a FAIP in the Talon, I assume you went from T-38 student directly to T-38 instructor. Quite a jump!